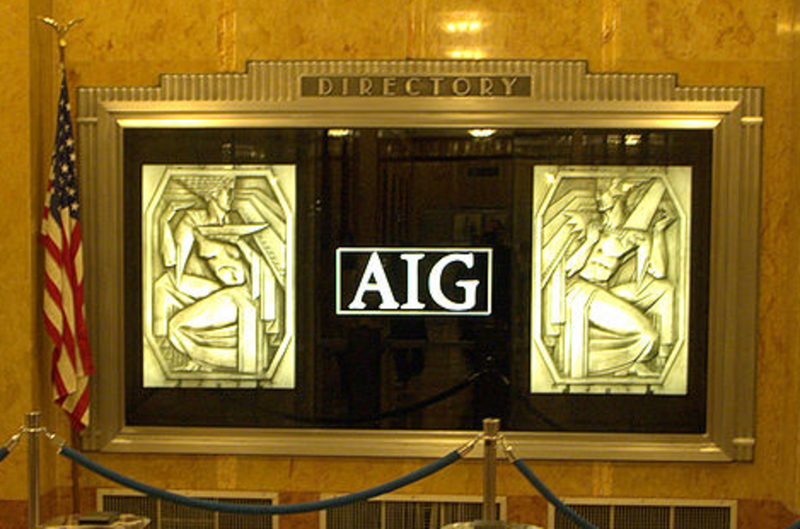 Remember AIG? Li&apos;l insurer that required a 12-figure bailout by the U.S. government and invoked the rage of mild-mannered college professor in a Federal Reserve Chairman&apos;s body Ben Bernanke? The guys and girls in the unit that f*cked up the most out of anyone at the company are in court today over the matter of backpay they believed they&apos;re owed. $100 million to be exact and they&apos;d like it in small, unmarked bills. And be quick about it- they&apos;ve waited long enough and have likely deferred dreams of using the money as seed capital for new economy-torpedoing financial products. American International Group Inc. was sued by former staff who say they were denied $100 million in bonuses amid public outrage over derivative trades that crippled the insurer and threatened the stability of global financial markets. Details of the U.K. lawsuit, which was filed in 2014, emerged at a London court hearing Friday. The 23 traders, analysts and managers, who worked at a subsidiary of AIG Financial Products Corp., were denied deferred compensation because of “significant media and political pressure” resulting from the U.S. government’s rescue deal, according to documents their lawyers submitted for the preliminary hearing. AIG’s Financial Products unit almost brought down the company with money-losing derivative bets backing subprime mortgages. The U.S. saved AIG in a 2008 rescue that then-Federal Reserve Chairman Ben S. Bernanke said made him “more angry” than any other measure the government took to counter the financial crisis. The bailout swelled to $182.3 billion, and public ire intensified after the company committed to paying hundreds of millions of dollars in retention awards to keep AIGFP staff so they could help unwind trades.